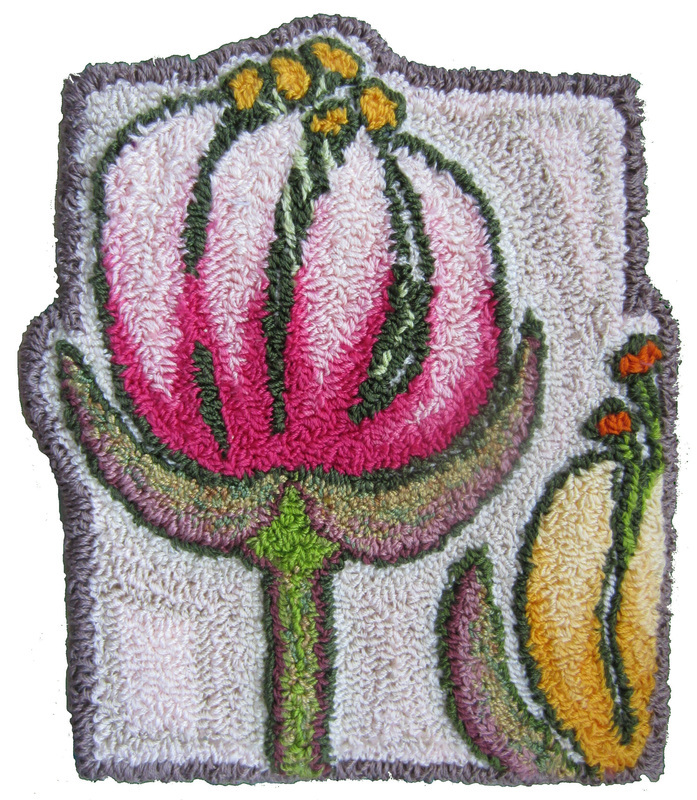 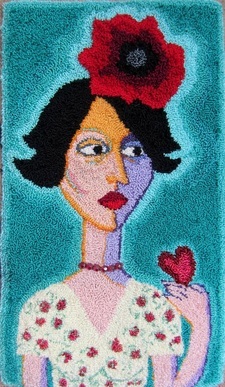 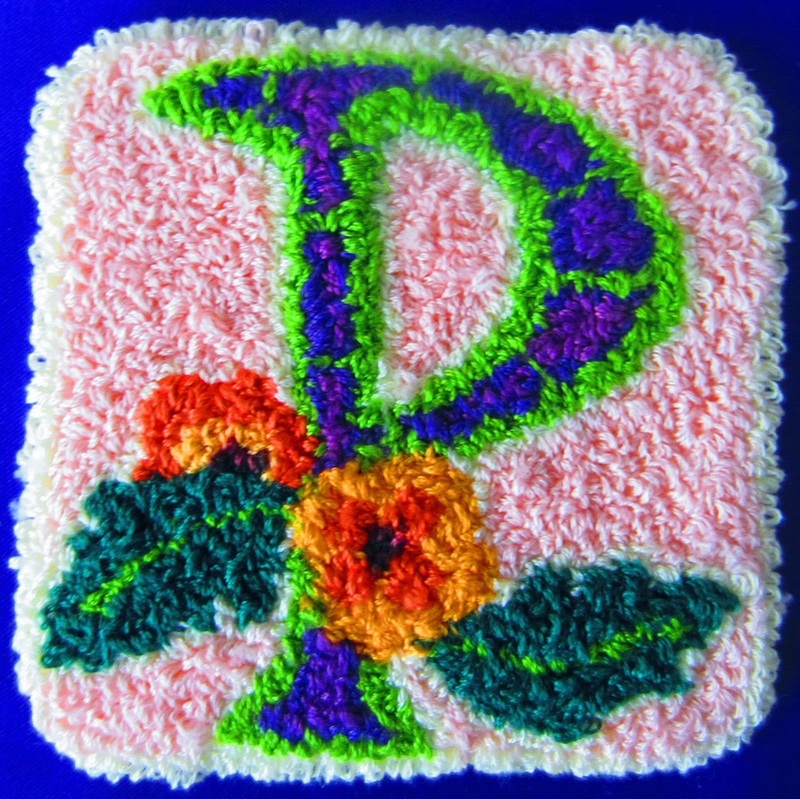 In punchneedle the design is worked from the back. 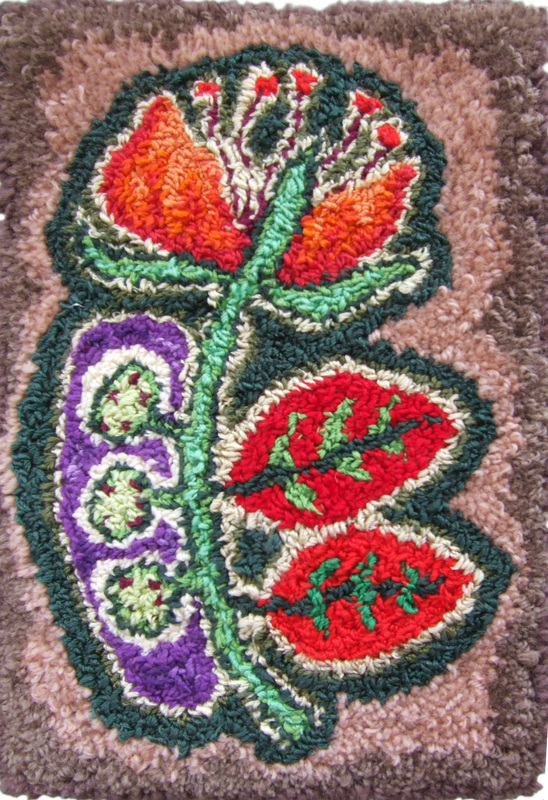 The punchneedle tool punches the thread through the fabric, leaving loops at the front, with the flat stitches on the back looking a bit like a mosaic. 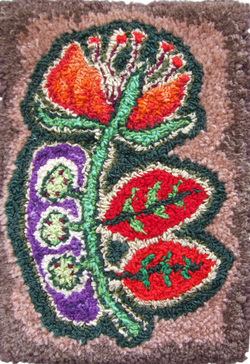 The height of the loops can be varied or they can be sheared to give a pile effect. 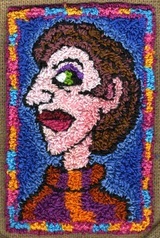 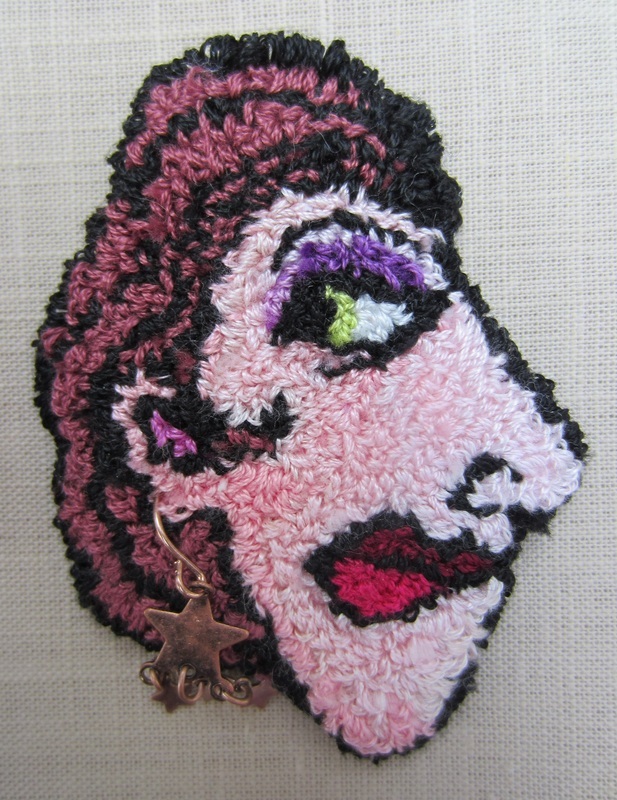 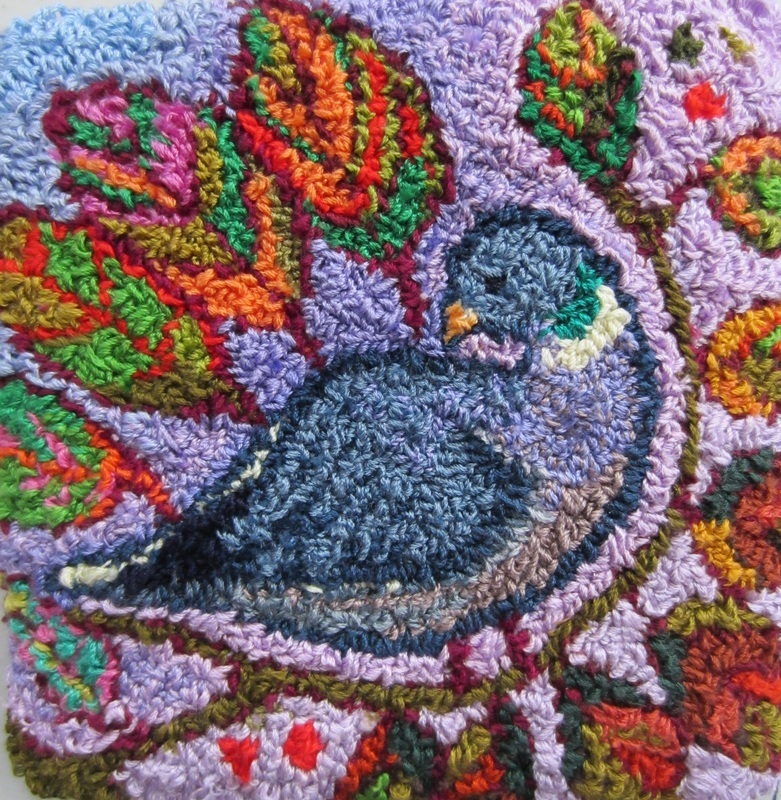 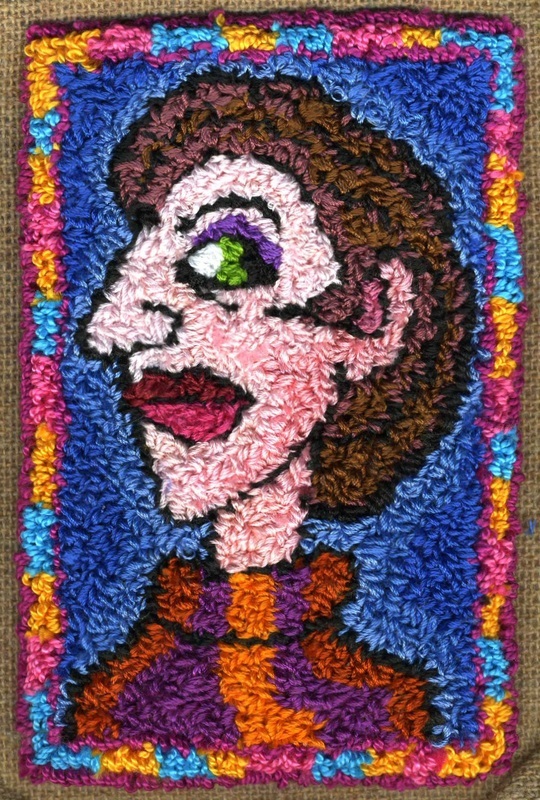 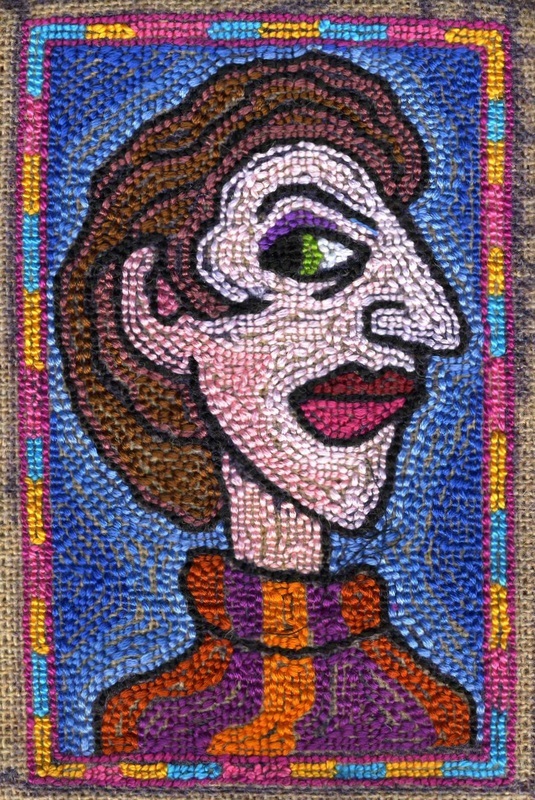 I like to work on a small scale, using embroidery threads and tapestry wools. 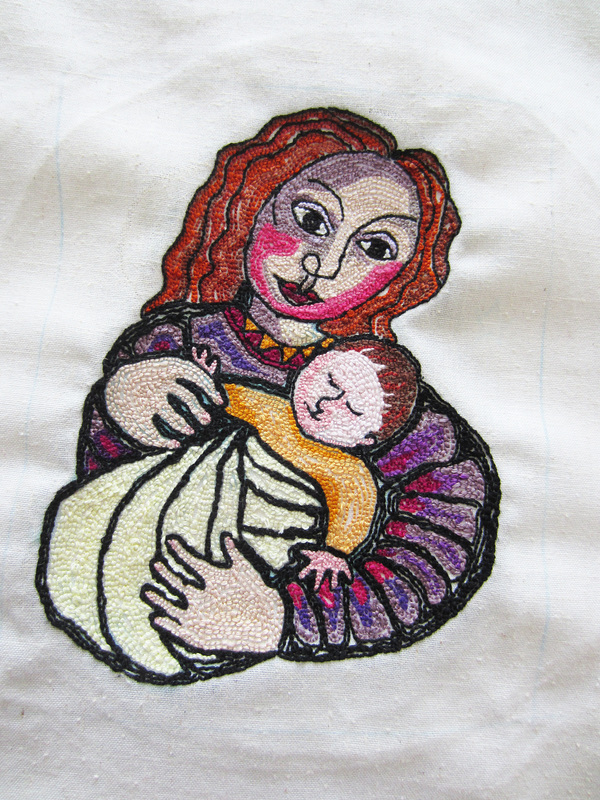 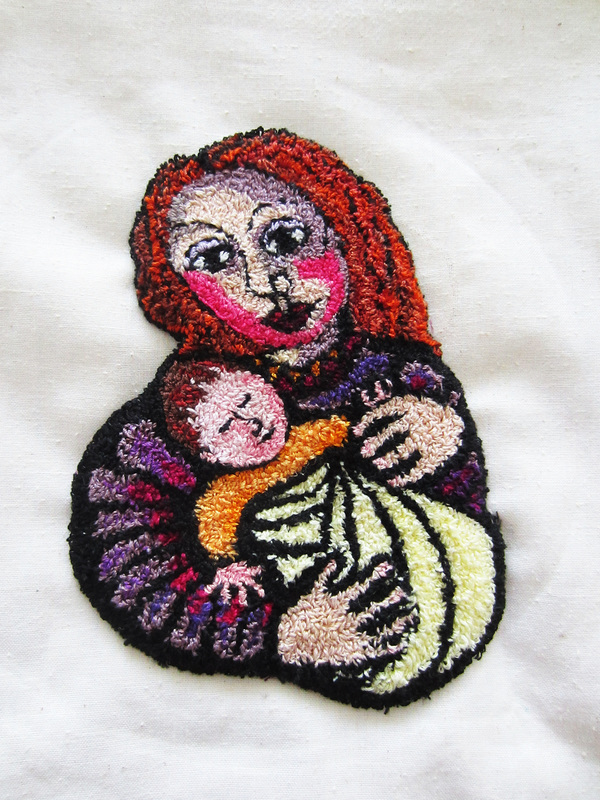 Mother & Child - in embroidery floss - finished at last!